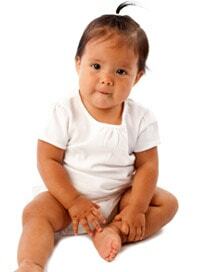 Vision problems can happen at any age but they can be harder to detect in infants and young children. Eye examinations and vision screening are important tools but when it comes to our youngest patients, they often aren’t effective enough. 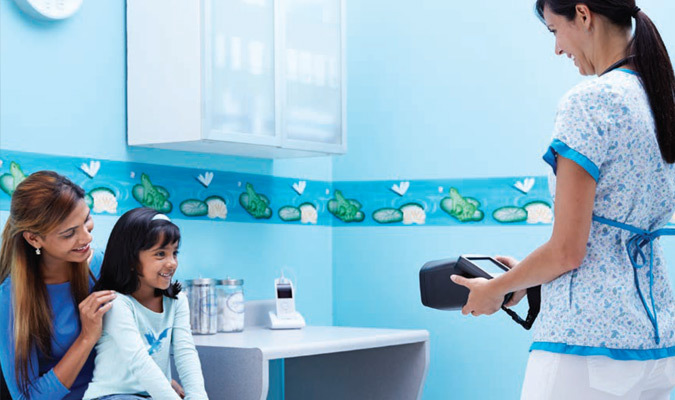 This is why the pediatricians at Northpoint Pediatrics in Indianapolis and Noblesville have started offering the Spot Vision Screener - a revolutionary tool that can detect vision problems in children as young as six months. Eye examinations are done with children of all ages to look for signs of early eye disease and to make sure eyes are working properly. The pediatricians at Northpoint Pediatrics follow the American Academy of Pediatrics guidelines for eye exams and begin basic eye exams at the first newborn appointments. View the AAP vision screening guidelines. If an eye exam uncovers a potential issue, it can be hard to determine the best course of action in infants and young children. These youngest patients simply don’t have the communication skills to tell us what they can and cannot see. The Spot Vision Screener eliminates the guessing game and gives an accurate assessment of eyes in children as young a six months. Amblyopia is the leading cause of vision loss in children and the leading cause of partial or total loss of vision in one eye. The Spot Vision Screener supports the AAP (American Academy Of Pediatrics) vision screening guidelines for early detection of amblyopic risk factors. Having the ability to detect this condition early is a huge step towards correcting vision before it deteriorates. 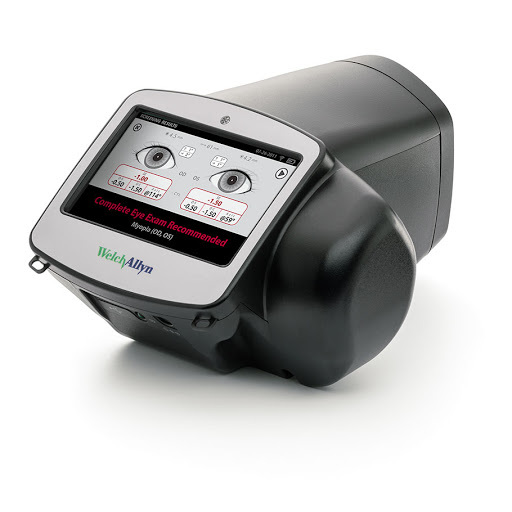 How does the Spot Vision Screener work? The nurse stands approximately three feet from the patient and holds up the machine to screen both eyes at the same time. The screening typically takes less than one minute and uses lights and sounds to engage the patient during screening. A patient response is not required - making it ideal for infants and young children who are not yet talking. Northpoint Pediatrics is currently performing the Spot Vision Screen at 6 months, 15 months, 3 years, 4 years, and 5 years - and older if a child is unable to perform the routine vision screening. Snellen vision charts - traditional vision screening where the patient must be able to participate - are performed at ages 6, 8, 10, 12, 15, and 18. If an eye disorder is identified, we refer patients to ophthalmologists. These eye specialists agree - the Spot Vision Screener is accurate and an excellent tool to diagnose early eye issues. Northpoint Pediatrics is one of the only pediatrician offices in Indianapolis that routinely uses Spot Vision Screening. If you are not currently a Northpoint patient you can learn more about this tool by contacting our office for a Get Acquainted Visit.